BOHOL, Philippines — The call came at midnight. James Mabilin rolled to his left as his right hand groped for the ringing mobile phone on the bedside. Hullo?,” Mabilin croaked and his ear was pierced with the thick accent of the caller who said he rang from the Kingdom of Saudi Arabia. Apparently, the woman called her husband’s employer to ask if her husband has been unfaithful in the land of oil. After a profuse apology and a promise to look into the matter, Mabilin hanged up and tried to go back to sleep. It was a fitful sleep but one of many nights that have become a routine for an employee of a government agency overseeing the comings and goings of Filipinos from here to almost every part of the globe. It’s becoming a 24-hour work, Mabilin said of the Maribojoc OFW Help Desk, which also serves as the Public Employment Service Office (PESO) of this fourth-class municipality. Mabilin and three other employees of the local help desk for overseas Filipino workers (OFWs) here share in the cases of townmates who seek their service, which has averaged at about two a month for the past three years. Mostly, they concern matters of the heart and money, Mabilin said, as he put his van into second gear when its front wheel hit the cemented national road of Maribojoc, a town south of the Philippine capital of Manila. The wife of the employee’s midnight caller, for one, was waiting for him on the steps of a two-storey building here when he reported for work at 8 a.m. the following day. I let her blew off steam, Mabilin recalled, as the van nosed towards the poblacion (town proper). MABILIN and his three colleagues at the help desk epitomize the lowly civil servant: underpaid and multi-tasking. 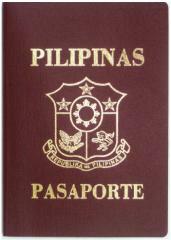 As PES Office, it acts as the local Philippine Overseas Employment Administration (POEA), a national agency based in Manila that processes OFW deployment. Likewise, since the POEA is an attached agency of the labor department, the PES office is also mandated by law to facilitate domestic jobs for local residents. This farming and fishing municipality is home to 18,114 residents. According to Mabilin’s record, their office has helped some 1,153 Maribojocanons get jobs since they began operating the PESO in 2008. On the other hand, some 156 locals were able to avail of their services —securing overseas job applications and visas from foreign embassies in Manila. Opening the door to their office, Mabilin points to a 6x6 board where a list of POEA-licensed recruitment agencies are posted alongside other documents containing job order posters and notices. Lately, Mabilin said, he’s seen an increase in the number of recruitment agencies from Cebu City and Metro Manila visiting Maribiojoc to find less-skilled workers. He points to an off-white telephone unit with number keys 1, 2, 6, 3, and 9 nearly faded. “I have to call the POEA regional office in Cebu City to check on these agencies’ standing with the POEA,” he told the OFW Journalism Consortium inside the 10-square meter office. Another hat that Mabilin and his co-workers don is to ensure the welfare of OFWs, a mandate of the Overseas Workers Welfare Administration (OWWA), a national agency also under the labor department and based in Manila. He says the Maribojoc OFW Help Desk receives an average of two cases a month of townmates in distress. We had to organize these groups, otherwise, we would be stretched thin, Mabilin said. “LET’S go for a ride,” Mabilin said as he snatched the car keys off his table and went down the stairs. A few minutes later, he was steering the van on the road. The first stop, at Punta Bay Watch Tower in Brgy. Punta Bay, Mabilin points to an anti-illegal recruitment poster, one of many posted in the public toilets of Maribojoc’s tourist attractions and in every barangay hall. Some have faded as these were there for three years now. He stopped the van on a dirt road. He killed the engine, got out, and led the short hike towards the beach of Maribojoc Bay, now splotched with foreign and local tourists as the summer vacation has begun. Mabilin pointed to eight to ten fish cages undulating with the waves. These fish cages, he explained, are run by people’s organizations and being rented out by the municipal government. The local government facilitates the collaboration between the overseas Maribojocanon and the fishermen people’s organization, with the former investing P200,000 for one fish cage and the latter doing the daily fishing. According to a 2008 municipal data, there’re 742 Maribojocanons working abroad. The municipal government earns from monthly rental fees and the annual business permit fees from those running the fish cages, Mabilin explains. All these activities by the municipal PESO are what local government units supposed to do, says the newly-amended Migrant Workers and Overseas Filipinos Act of 1995: Republic Act 10022, enacted last March 2010 and, which amended Republic Act 8042. Section 16d of RA 10022 instructed LGUs to be proactive in anti-illegal recruitment activities through conducting public employment orientation seminars (PEOS) and establishing an OFW help desk or kiosk. The latter will be linked to POEA’s information on overseas job orders and licensed recruitment agencies in good standing. Mabilin says his office has all those functions even before RA 10022 came. Maribojoc is Bohol’s first municipality to have an OFW help desk. De facto, the PESO serves as Maribojoc’s “little POEA and OWWA”.